We visit two ports. 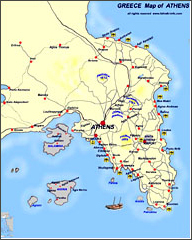 Heraklion, (7:00 – 11:30am) and Santorini. Upon arrival to Santorini, (4:30pm), disembark and transfer to the hotel. All day free to enjoy the “black pearl” of the Aegean Sea.